At PhoenixHousePainting.com we are dedicated to our clients! We want to ensure that every single client we work with has the most reliable, trustworthy and determined group of painters working on their specific jobs. Our clients aren’t just numbers on a list they are treated like family! When you’ve been painting as long as we have, you come to understand that there is nothing better than over 25 years of experience backing you to be as confident as we are. There is no job that is too big or too small for us to take care of for you. 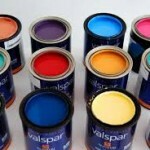 We take care of everything from commercial large business all the way to private room by room home painting. We offer a comprehensive in-home consultation, which allows us to see exactly what you would like done in your personal space and gives you the freedom to really show off your own ideas to our professional staff. Your satisfaction is guaranteed with PhoenixHousePainting.com because we strive to ensure that we do the best job we can the first time, every time! 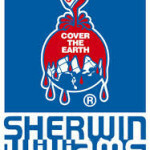 We also offer a 10-year warranty which covers the paint, labor and materials used! We are dedicated to providing you with the highest quality painting work with the best possible service to our customers. With us, you get a unique experience that also gives you competitive prices. We are an affordable and professional interior and exterior painting company. 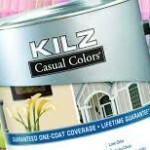 We can do projects ranging from large residential and commercial painting to small interior jobs. 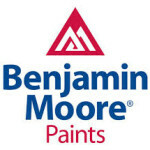 We offer free estimates for all house painting and commercial painting projects. We are serving the greater Phoenix Metro area an areas throughout Arizona. With us you will never be surprised. You can be assured that we will always deliver superior service that is on time and on budget. 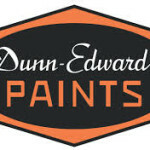 To provide painting and decorating services in a professional manner with both craftsmanship and up to date techniques. To protect, preserve and decorate homes, offices, facilities and all other public and private property with the most progressive and efficient means and materials. To expand our knowledge through the constant study of better business practices and utilization of the latest technical advances in our profession and industry. To conduct oneself in a professional manner at all times. John Morris is the President of the Arizona Counsel of Painting and Decorating Contractors of America. John and his company volunteer their time and materials during the year to do various community service projects throughout the Valley. John is an accomplished painter who has put together a team of Sales Persons, Estimators, Administrators, and Painters who’s combined years in the painting business is equal to over 110 years. PhoenixHousePainting.com, LLC is a member of Sun City Home Owners Assocaition (SCHOA), COA, PDCA and The Blue Book.